My hometown grew during the industrial revolution and has its fair share of historic buildings but it really can't compare to York with is snickleways (alleys), overhanging timber-framed houses and medieval town walls. The traditional shopfronts of The Shambles makes it one of the UK’s most historic (and gorgeous) streets. 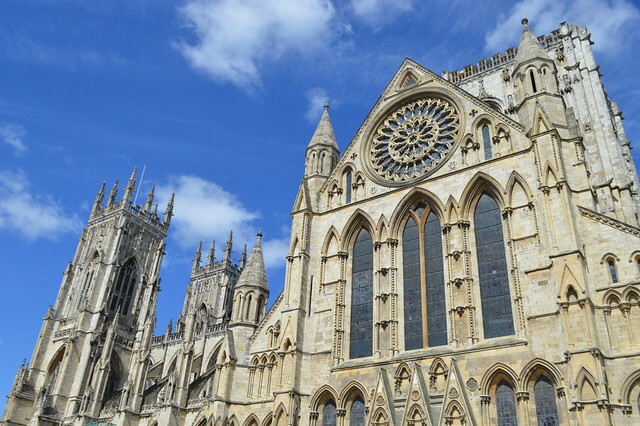 You can’t visit York without paying a visit to York Minster, one of the largest cathedrals in Northern Europe and also one of the most beautiful Gothic churches in the world. York also has Viking heritage too. You can and experience the sights, sounds and smells of the viking period at the Jorvik Viking Centre. A personal highlight of my visit to York was learning about 300 years of railway history, climbing aboard giant locomotives and browsing some of the 1 million train-related artefacts at the truly amazing National Railway Museum. You can read more about my trip to York and get some tips about what so see and do here. South Wales is my patch, I've lived here all my life. I might be a bit biased but it's got everything you could need with cities, the coast, castles and national parks all within a hour drive of the capitol of Wales - Cardiff. One of my favourite places to spend the afternoon is Cardiff Bay. It played a major part in Cardiff's development by exporting coal from the South Wales Valleys to the rest of the world, helping to power the industrial age. Since then it has developed into something quite spectacular, and is now a great place to eat out or catch a show in the Millennium Centre. The new blends superbly with the old in Cardiff. I love the striking glass-roofed Victorian market, which holds some of the best butchers and fishmongers in the city. There are six Victorian Arcades in Cardiff (my favourite is Castle Arcade), which provide an alternative to the high street shopping experience. They are full of vintage clothes shops, deli's, cafes and independent retailers. You can get to both Penarth, with a pretty pier and the mighty Caerphilly castle in 15 minutes on the train from Cardiff. If you want to get an overview of Welsh history and our way of life in just one day I recommend visiting St Fagans which has over forty original buildings from various historical periods in Wales which have been re-erected in 100-acre parkland. Head to this post to read more about my favourite spots in South Wales. Dorset is a great place to visit at any time of the year. 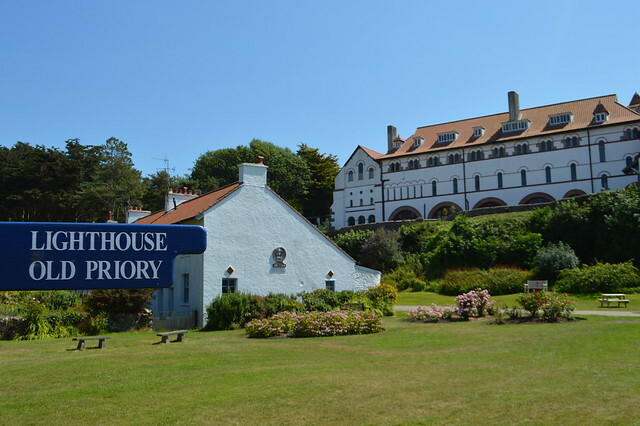 There's a dramatic coastline, unspolit countryside and beautiful gardens for a fix of fresh air and chance to enjoy a quiet and relaxing long weekend. I've been lucky enough to visit Dorset a few times now and there is enough to do to fill a whole week or even longer. 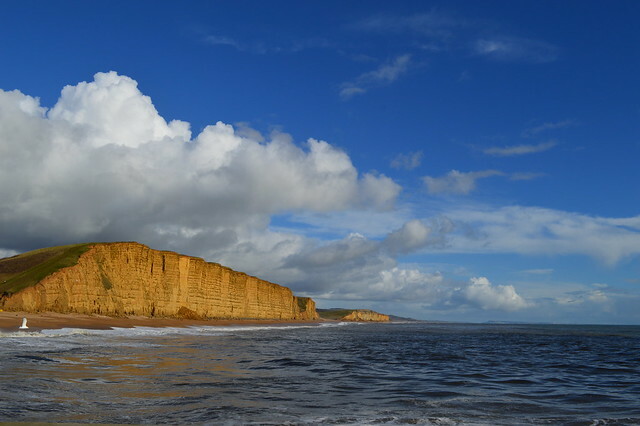 You can enjoy a traditional day out by the seaside in Weymouth or Lyme Regis, have a family day out at the Sea Life Centre or eat some fresh seafood with views of the impressive West Bay (photo above) which is the filming location for Broadchurch. The Jurassic coast has been designated a Natural World Heritage Site by UNESCO due to its outstanding geological make-up. Some of my favourite sights during my visits to Dorset were the famous arch and a beautiful secluded cove; Durdle Door and Lulworth Cove. Known all over the world for it’s Roman Baths (hence the name) Bath is one city everyone needs to visit in the UK at least once! The city has such an amazing history – along with some of the UK’s more exclusive postcodes outside of London. 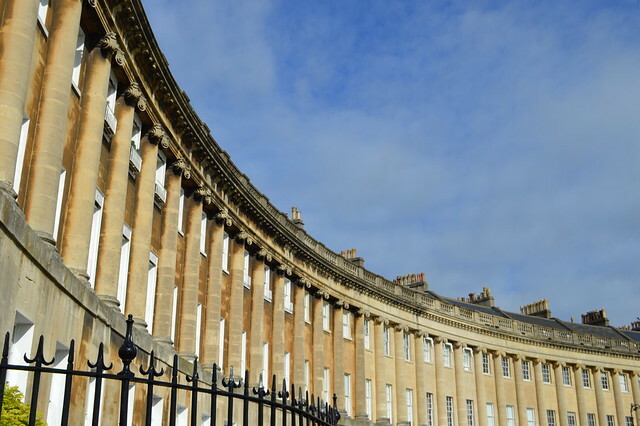 Visitors all over the world flock to Bath each year to get a real sense of what life was like in Regency UK and as a pilgrimage to the beloved author Jane Austen. I recommend a stay at the Francis Hotel for a modern take on Regency/Georgian style and a burger at Schwartz Bros.
Last, but by no means least WEST WALES! I've been visiting West Wales all of my life, my first family holiday was a stay in my nan's caravan in Saundersfoot so I have fond memories of this area. West Wales has many excellent beaches that are suitable for surfing, sailing and relaxing. Tresaith beach is particularly lovely with its unusual waterfall cascading over the cliff into the sea. Tenby has pretty pastel buildings, restaurants with locally caught seafood and is the perfect base to explore the nearby Caldey Island which is home to Cistercian monks and interesting wildlife. 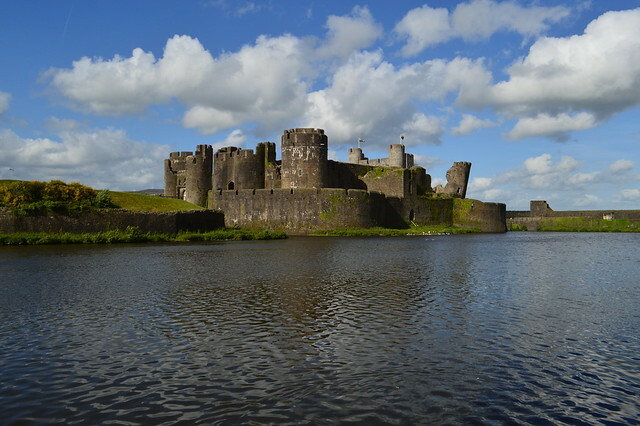 There are also many historic attractions to visit, such as Cilgerran Castle and the grand St David's Cathedral. St Davids is the smallest city in Britain with a population of just over 1,600. The Pembrokeshire Coastline is so outstandingly beautiful and important it was established as a National Park in 1952. No blog post would be long enough for me to convey how magical and breathtaking West Wales it, you'll just have to visit yourself and make up your own mind. Ah I've only been to Cardiff. Needs to get my skates on! I feel lucky because I've been to all these places. Love West Wales and Tenby too, though my favourite place out that way is probably Portmeirion - have you been there? I ve been to Bath and Wales but you should so update it on Chester! Its such a beautiful city in UK! I would love to visit 'The Rows' in Chester, sounds like a very historic city. I love all these places! York and Bath are so pretty, and Dorset is great for holidays! I don't think I could even make a top list of my 5 favourite places. I've only been to a few places in Wales, would love to go back one day. All these places look amazing. I've been to York, it's a lovely city. Now I want to visit Bath and I hope I'll have the time this year.